The foundation of our family-owned company is the community where we live and serve our customers. Beyond treating every customer like they are our neighbors, we help to create strong communities by supporting local events and charities. Valley Energy developed a plan to educate our local high school students about the dangers surrounding a moving tractor trailer. Our highly experienced driver traveled with the NO ZONE Truck to TEN Loudoun County High Schools and spoke to thousands of Drivers Ed students. Each student had the opportunity to sit behind the wheel of the truck and note how difficult it is to see cars in front, behind, and beside the truck. Though these students may have read the warning signs, until they are literally in the driver’s seat, it is difficult to imagine the dangers of driving too close to one of these large trucks. Our technicians partner with local first responders for Hazardous Material training and drills. 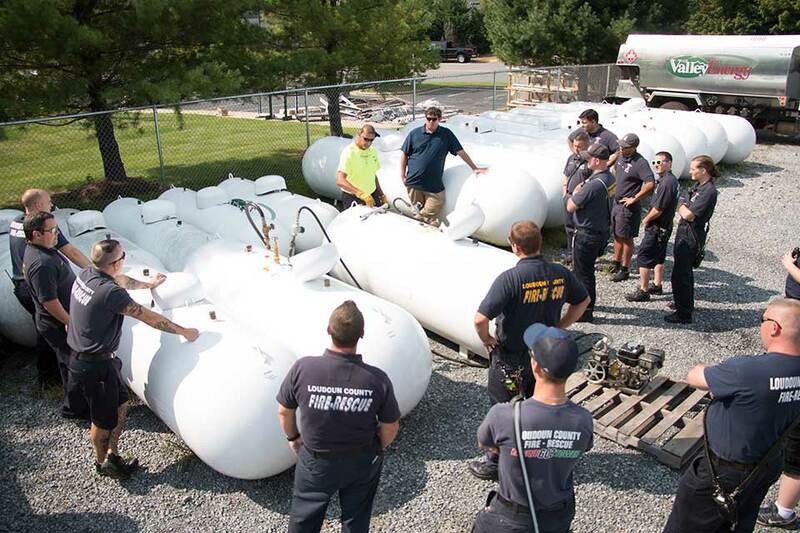 This not only prepares fire departments to safely respond to emergencies involving fuel or gas leaks but also strengthens our position as a community resource. 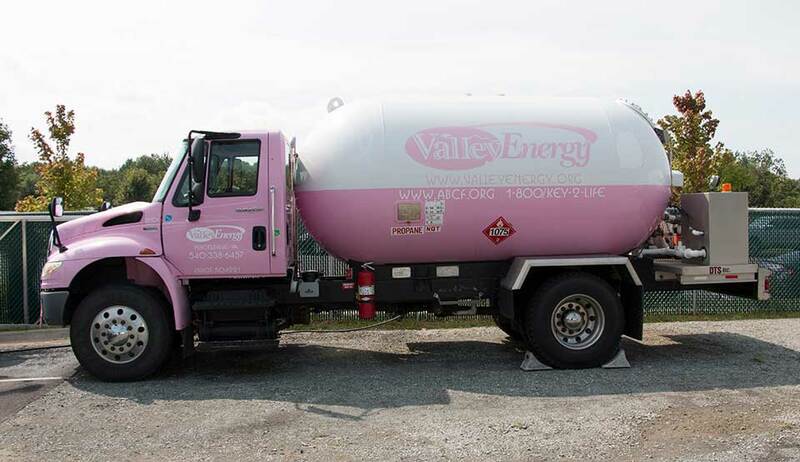 Valley Energy is fortunate to own a Pink bobtail truck, representing the fight against Breast Cancer, and a Gold oil truck, representing the fight against Childhood Cancer. A portion of each truck’s sales are donated annually to a family impacted by cancer in our community. The holidays can bring excitement – and anxiety. The cost of home heating during the winter months, in addition to gifts for loved ones or celebrations for the family, can be a strain. To support those struggling in our own community we partner with local churches to donate the cost of fuel to needy families. It is our hope that this small gesture keeps one more family in each congregation warm for the season. Please contact us with suggestions for new events or charities. We love to hear from our customers.